With its adrenaline filled courses, Voiles en Voiles is a captivating activity to do for a Teambuilding. 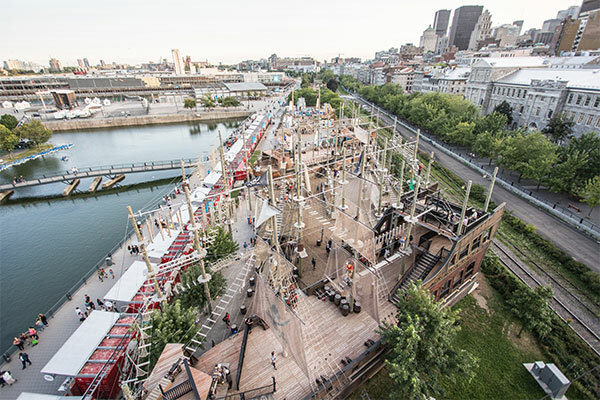 Whether you are looking for social activity, an activity to make your employees develop some aptitudes, or even if you are looking for an uncommon venue for your event, Voiles en Voiles will certainly fill all your needs ! 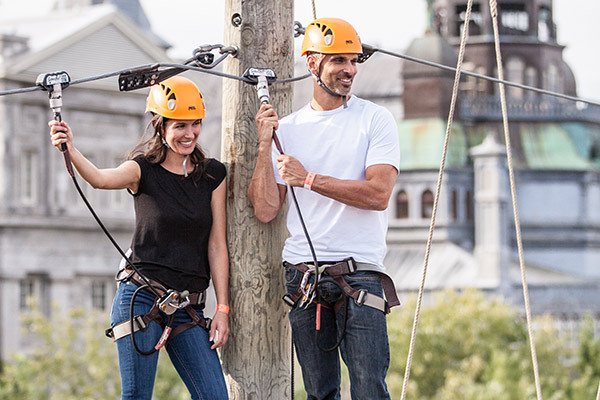 For a Teambuilding or a corporate event, we offer an activity and a venue that is one of a kind! STRENGHTEN YOUR GROUP’S BONDS AND HAVE FUN DOING IT ! Voiles en Voiles is a special context where you have the opportunity to overcome your fears and surpass yourself. 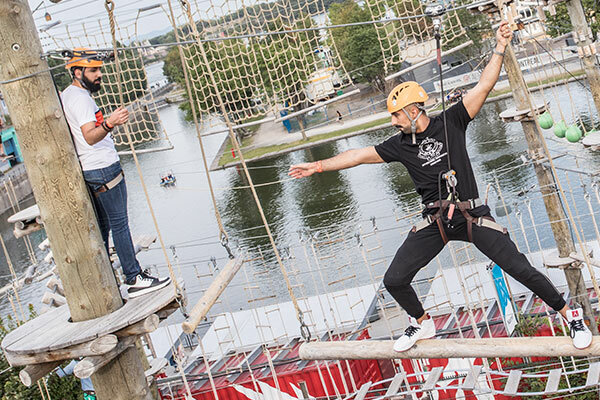 While you will be navigating through our aerial courses of 13, 24 and 35 feet, you will have to help yourselves but especially, encourage yourselves. The activity that we offer you is of a duration of 3 hours. If you need special material, such as tents, chairs, tables or anything else, please know that we are open to any request, even the most special ones ! We will try our very best to make your visit a memorable one ! During the week, from april until june, and from september until october. 1200$ for a group of 40 persons, 20$ per additional participant. To strengthen skills such as communication, cooperation while having a blast ! Pedagogic Teambuilding is similar to social Teambuilding but it is offered with a educational frame, by a professional. After the activity, participants will brainstorm together on the strong points of the activity, and have feedback by the professional. During the week, form april until june, and from september until october. Let us help you planning your corporate event! For any kind of event, we welcome you on one of our boat's deck to enjoy a unique experience with a unique view of the Old Port of Montreal.